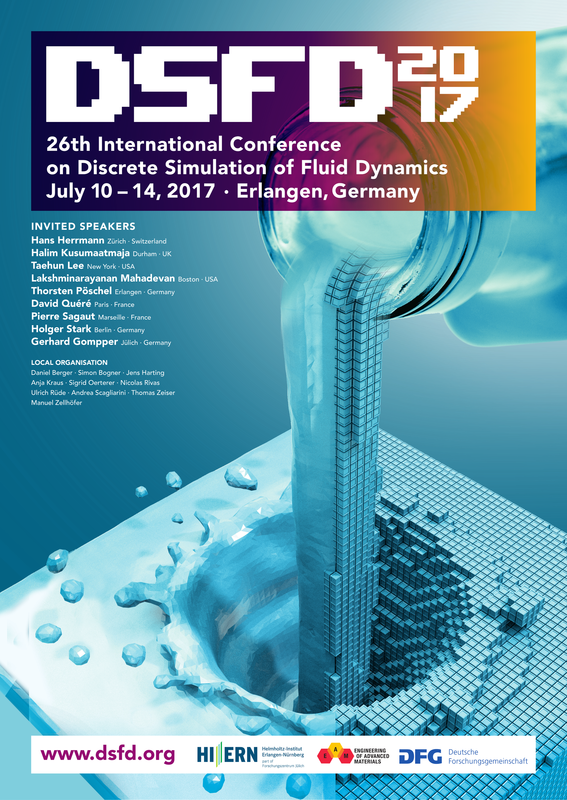 this is the final announcement for this year’s edition of the Discrete Simulation of Fluid Dynamics conference series (DSFD2017) which will take place in Erlangen, Germany, in about two weeks (10.-14.07.2017). So far, about 150 scientists have registered and we are looking forward to an exciting program which includes 9 invited talks, 2 tutorials, 1 special lecture, 105 contributed talks and 20 posters. Next to the scientific part of the meeting, we also organised some side activities to foster discussions and maybe future collaborations including a welcome reception on Sunday evening, a poster session on Monday, several options to learn to know the area and culture around Erlangen on Wednesday and a conference dinner on Thursday.